I am in Santa Cruz to ship Fall 08. It has been 2 weeks and the production is still not ready. Needless to say it has been two weeks of anxiety and frustration. Everyday I think I am going to drive over the hill and pick up the whole load and start getting the boxes prepared. Instead I call and they are not ready. But somehow I can’t manage to then go on a bike ride or swim in the ocean or hang out with my gramma. I just feel paralyzed and miserable. The one highlight which mixed work with pleasure was the Friends of Filly try-on which happened this last Sunday. I convinced my manufacturer to atleast give me the over-stock inventory in time for the scheduled trunk show. And thank god they did. 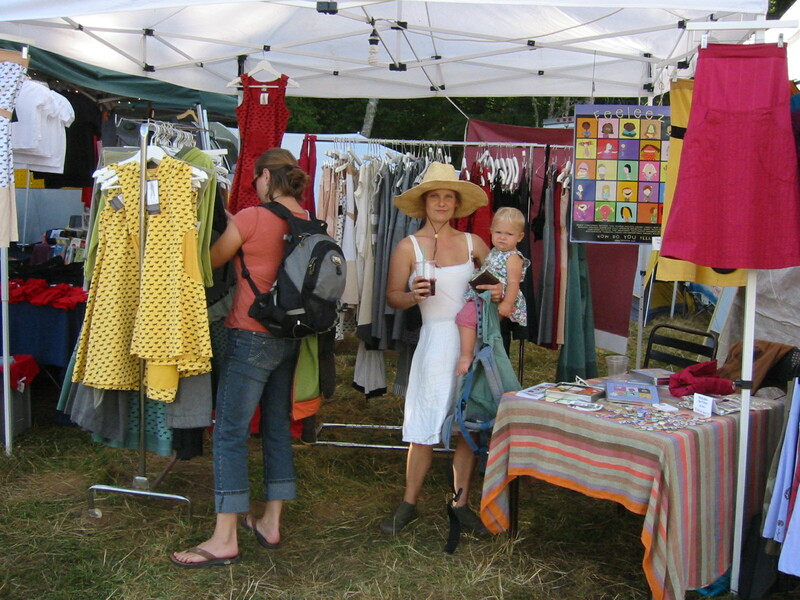 From 1pm until 6pm a steady stream of women came by, striped down, and gleefully tried on clothes. It was the best! I got to see all my girls- including my cousin and my cousin-in-law, my dear friend Kate from Spain who came all the way from Sausalito, and a birthday entourage for Amy From the Northcoast. Not to mention “The Regulars”- Idit, Elena, Talya, Emilyn, Stacey, Tiffany, Zoe, Jane, Katie and Lisa. We were just missing Sarah Knight! I have so much appreciation for the women in this town. I feel incredibly supported and loved by them all. Thank you. Thank you. Thank you. Hey look! I’m proud of my garden patch over here on Sumner Street, especially the tomato plants. I tried a technique we used in Santa Cruz called dry farming- a seemingly harsh watering approach used almost exclusively with tomato plants. When you put the starts in the ground you give them a deep watering- 12 hours on a trickle. After that nothing. No water all summer long. The result is a compact little bush weighed down with a zillion tomatoes. And the flavor is amazing- sweet and concentrated and not at all diluted by water. Kinda fun to see how well the plants can handle the sun and heat. They don’t seem to mind one bit. 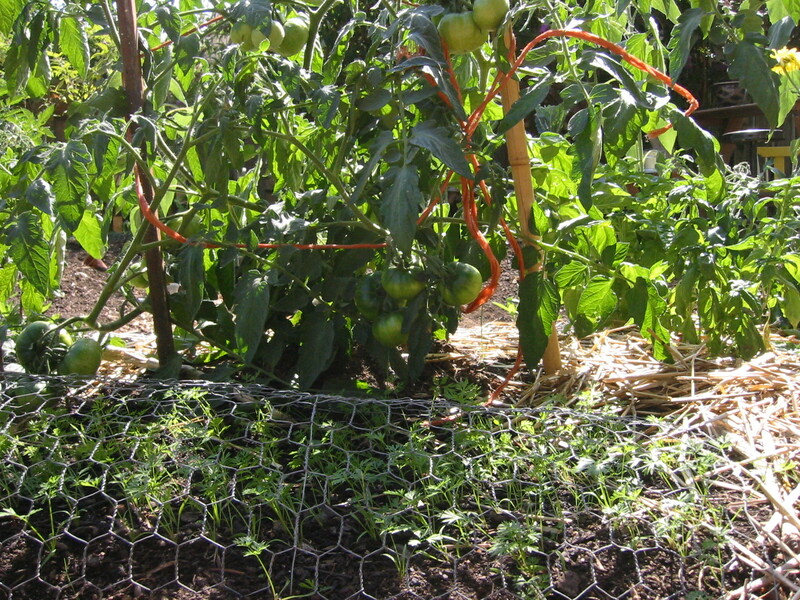 In the foreground is a little patch of carrots protected from the menacing cats with chicken wire. This is totally nerdy and insignificant but aren’t these shoes the best!? I just went to get some coffee at The Waypost cafe down the street and stopped in to the new five and dime next door. They have the best stuff! I got these vintage boot/shoes, a pair of clear jellies, a transparent navy blue polka dot button-up shirt, and a heathery wool derby hat all for under $40 bucks! But it might not be for everyone. Bello didn’t find anything that he liked. San Francisco. Yes, he’s got it. This past weekend my sister and I attended the glorious Pickathon music festival on Pendarvis farm in Portland. It was so fun! I am not one for music festivals and this was great, great, great. It was small and human- run by like three fellas and a bunch of volunteers who, like us, were “working” in order to listen to amazing music and lay in the meadow. Our booth, along with the four other non-food booths (see how small! ), lined the top of the field in which three of the five stages were located. So while we sold Filly dresses and Feeleez buttons and games, we also got to listen to and watch live music that we love. Camping, dresses, music, and Nat / Echo- I could not have asked for anything more.